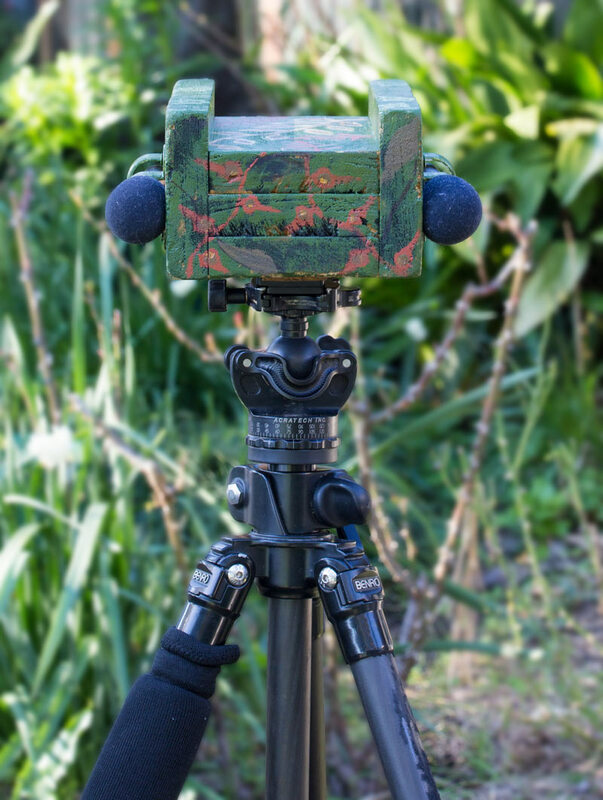 I’m often asked what equipment I use to make my nature recordings, so I thought it would be helpful to create a page as a reference to answer the question. 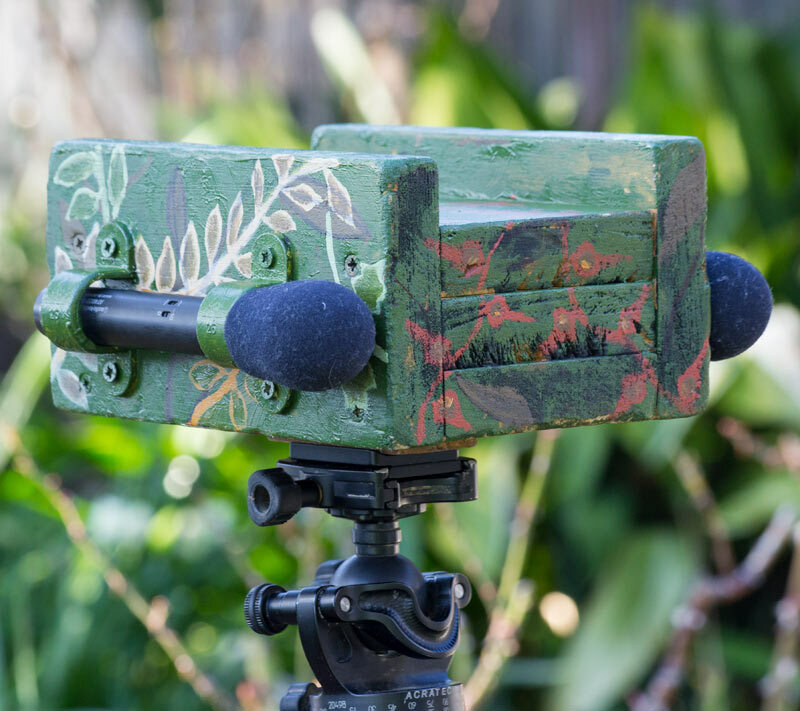 Many field biologists and nature enthusiasts use highly directional microphones or a parabolic dish setup to record bird and animal sounds, as this approach is good at zooming in on the calls of individual species. However, my goal is to record the soundscape as a whole and reflect the natural hearing experience we get from our own two ears. To achieve this, I use a couple of different setups but both are quite similar and based on the same principles. I’ll focus this article on my ‘A’ setup and write some details on my newer ‘B’ setup in the near future. In my ‘A’ rig, I use a pair of Audio Technica AT4022 omni-directional microphones which are outstanding in range and clarity and able to pick up even the most delicate sounds. 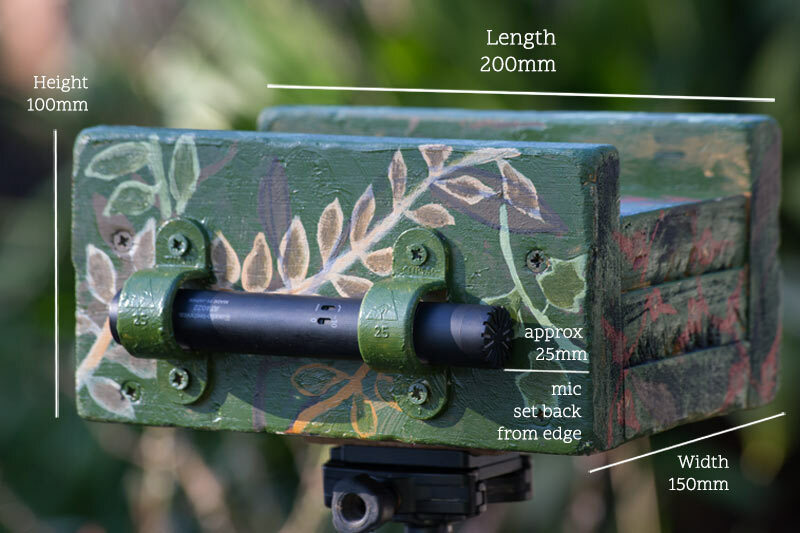 To capture a realistic stereo image, I mount the two microphones on each side of a DIY parallel boundary array (which is basically a small, lightweight box made to specific dimensions) and the mic’s are spaced approximately 20cm apart, which is similar to the distance between our two ears. I have found the results of using this setup to be very natural – try listening on a set of good, comfortable headphones to fully appreciate the stereo image and sense of space. 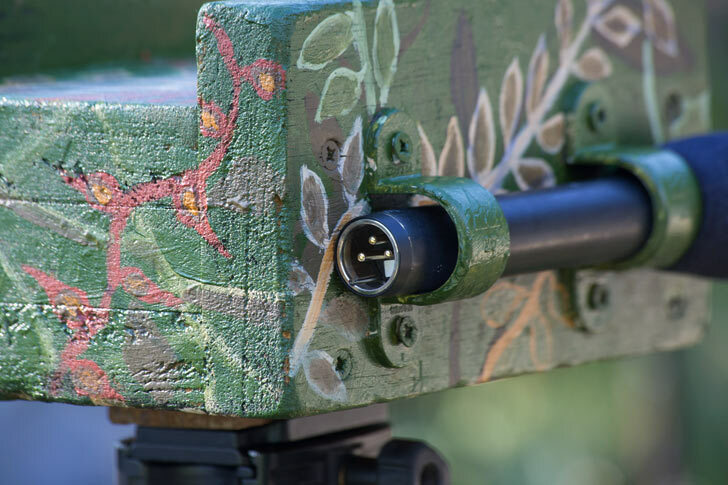 The microphones are connected via XLR cables to a Fostex FR2-LE Field Recorder, which is a high quality compact flash recorder with very quiet pre-amps. The FR2-LE also powers the AT4022 microphones which require phantom power (ie. they are not self-powered by their own batteries). The recorder runs on RC 7.2V batteries (the same used for many radio-controlled cars) which are easy to find on ebay or other online stores. One battery last me about 6-7 hours of recording time, so I carry a couple of spares for times when I am away from a power supply for a few days. The entire kit is very light and easy to carry in a small backback with room to spare. Often I mount the mic array on a tripod, but lately I have been trying to travel even lighter and leaving the tripod behind and placing the microphones in trees or on large rocks or stumps. 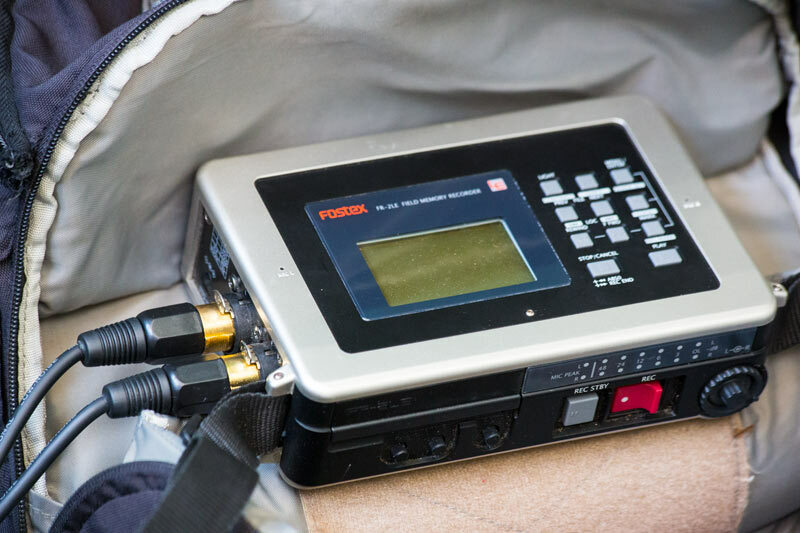 I have found the Nature Recordists Forum to be an invaluable source of information regarding field recording equipment and techniques. I am very grateful to the many nature sound recordists who have been willing to share their experiences and advice on this forum.